I've been referring to The Giver as a futuristic novel because it is set in the future. However, I think these sort of books end up saying almost as much about the present. But futuristic novels are pretty much all treatises on the present. 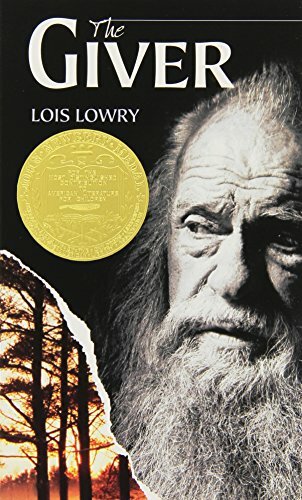 Lois Lowry's novel is no exception. But a third of the way through, the story at least becomes original. It's when Jonas meets the Giver that we finally see how the story will unfold. Between the two characters, there are some uncomfortable moments by today's standards and Lowry doesn't shy away from them- for better or worse. I'm thinking mostly about when Jonas (12) finds himself alone with the Giver who is an old man. They've just met and the Giver asks Jonas to remove his tunic and lie down on his bed. Now maybe it's just me, or maybe it's most of us in 2006, but I was thinking "Holy Michael Jackson! What's this creep going to do?" Lowry doesn't go down this road, either in storyline or Jonas' head. The fact that the thought didn't even cross Jonas' mind is the bothersome point. Is it because Lowry just chose to ignore what the situation might mean to a present day reader, or was she making a subtle point that in a future with sexual urges taken care of with drugs, perverts wouldn't exist? It would be a great discussion topic for a book club for sure.